The tops of garlic in the garden. The Honey comes from our hives. We have four hives and two nucs in the back part of our property. Nucs, Nucleus Hives or Nucleus Colonies, are small honey bee colonies created from larger colonies. The term refers both to the smaller size box and the colony of honeybees within it. The nuc hive is centered around a new queen or queen cell. We found eight queen cells in one of our hives. Which means a few things. One, the hive queen was weak and the nurse bees created a queen cell to replace the weak queen, or Two, the hive is full and crowded and the bees are getting ready to split and leave the hive (Swarm), or Three, the old queen might have died and they have created a new queen to rule the hive and make new brood (new bees). So with that in mind, we knew we needed to do something. Using an existing 10 frame box. We created two nucs with three frames each in one ten frame sized box with dividers to separate them. 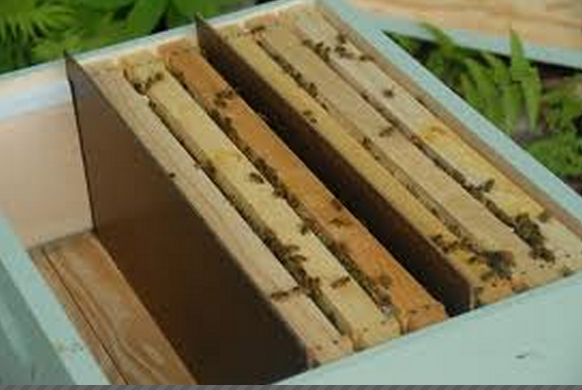 Each nucleus has a frame of brood, a frame of capped honey and pollen and a empty frame for growth of the new colony. We drilled a couple of holes in the box, so the forging bees can go out for food and working bees can keep the nuc clean. Two nucs with three frames each in one ten frame sized box with dividers to separate them. So back to the Vinaigrette, I love to make fresh dressings for my garden salads. This one is one of my favorite dressing and one I serve all the time. Each time I make it, I tweak it. In a container, combine oil, vinegar, honey, salt, pepper and garlic. Cover, and shake until blended or blend to meld all the flavors. Set aside for 45 minutes, to allow flavors to combine. Shake again before serving. 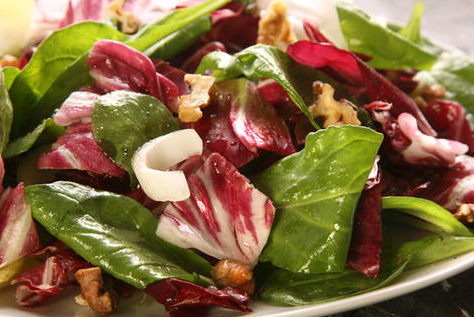 This vinaigrette is the best go-to dressing in your recipe folder! Make it and become the favorite cook at any neighborhood cook out! In Egypt we used to eat all the fish we wanted, and it cost us nothing. 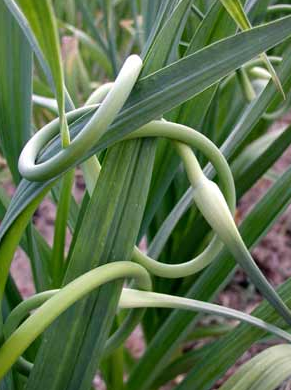 Remember the cucumbers, the watermelons, the leeks, the onions, and the garlic we had?